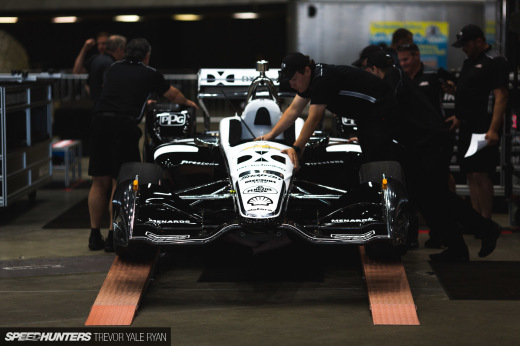 These days, the IndyCar series is known for being extremely competitive and at times very exciting, although it’s far from the hotbed of new technology that Formula 1 is. Indy’s draw comes from its overall parity rather than any distinct differences between the machines, but it wasn’t always like this. 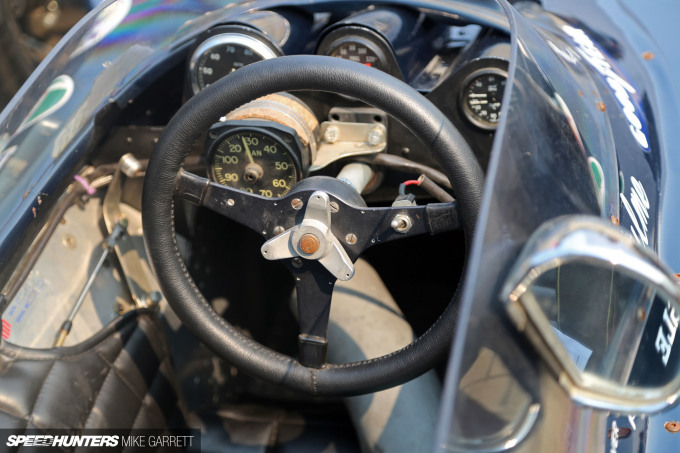 For many years, Indy racing was a testbed of experimental motorsport technology that sometimes even went beyond Formula 1. 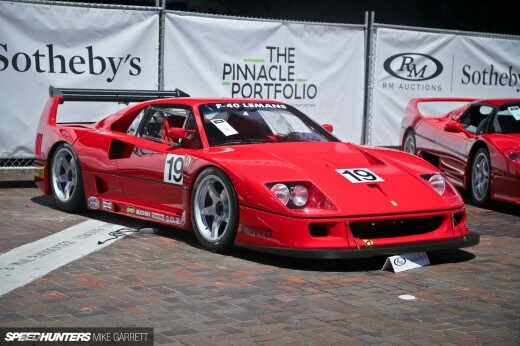 I was reminded of this while checking out the cars of this year’s RM Sotheby’s auction in Monterey. 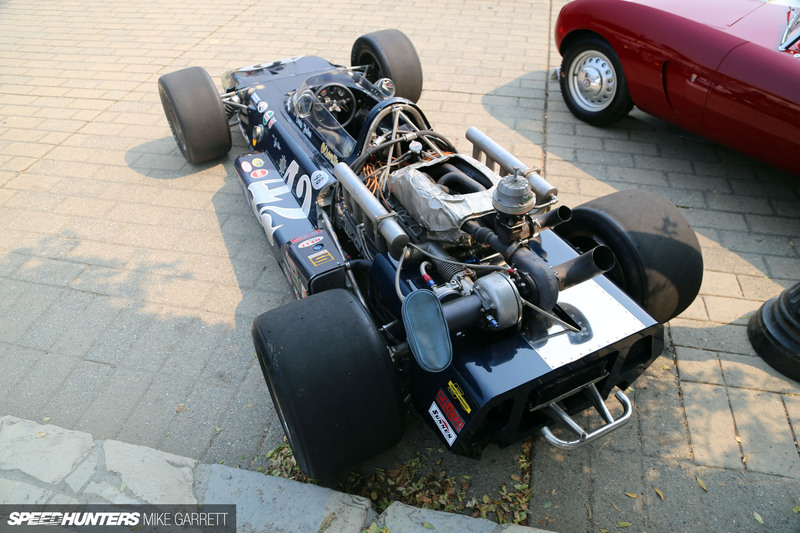 Not only was the famous Lotus 56 jet turbine car going under the hammer, it was also joined by a few other historic Indy machines including this 1969 Gurney AAR Eagle Santa Ana. 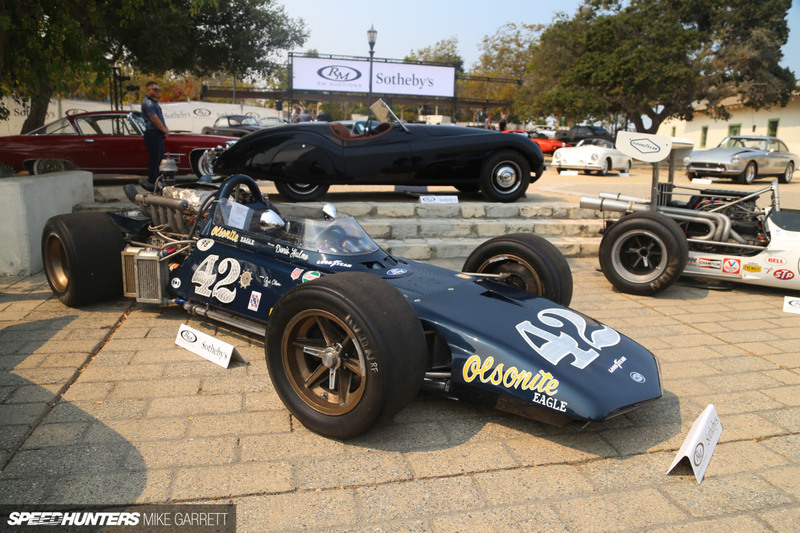 Named after the Orange County city where Dan Gurney’s All American Racers team were based, this is one of four Santa Anas that AAR built in the late ’60s. This particular chassis was originally driven by Denny Hulme in the 1969 Indy 500 where it was one of several Eagles running in the race that year. It ran as high as second place behind eventual race winner Mario Andretti, but Hulme ended up finishing 18th after clutch trouble. 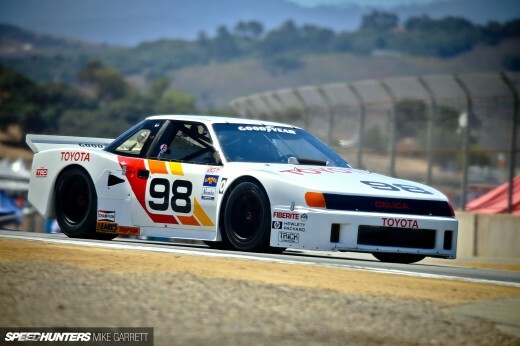 The car would continue to be raced with various drivers and engine setups through the early 1980s, and in the mid 2000s it was restored back to its original form. And what a form it was. Power comes from a double overhead cam Ford V8 fed by Hilborn fuel injection. 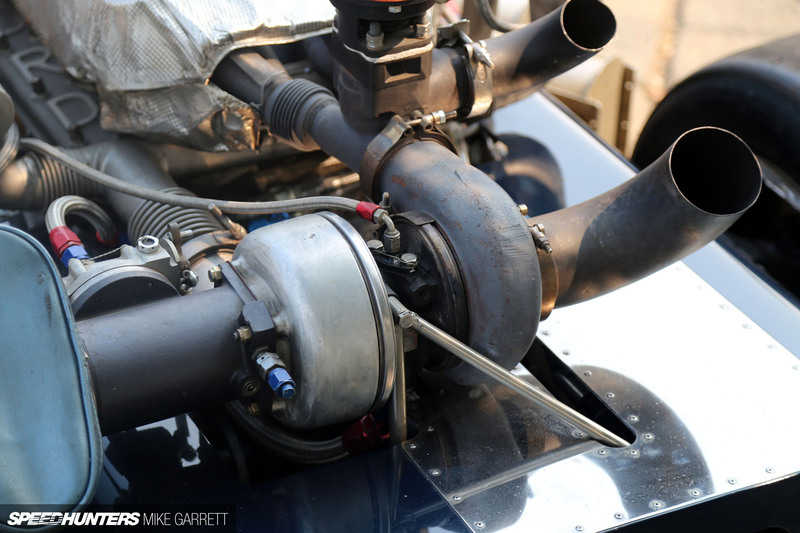 Oh yeah, there’s also a dirty great turbocharger hanging off the back, and all together the Santa Ana was good for around 850 horsepower. 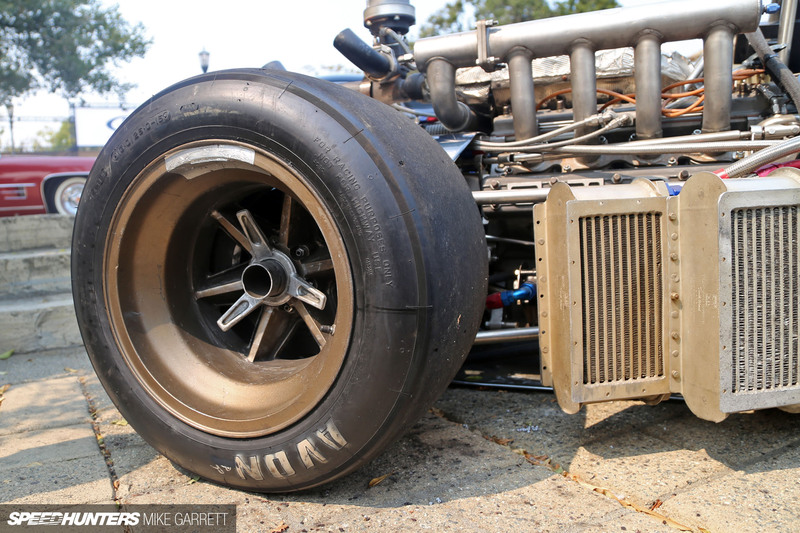 Twin overhead cams, turbocharging, double wishbone suspension and coilovers – all pretty experimental stuff back in the ’60s. 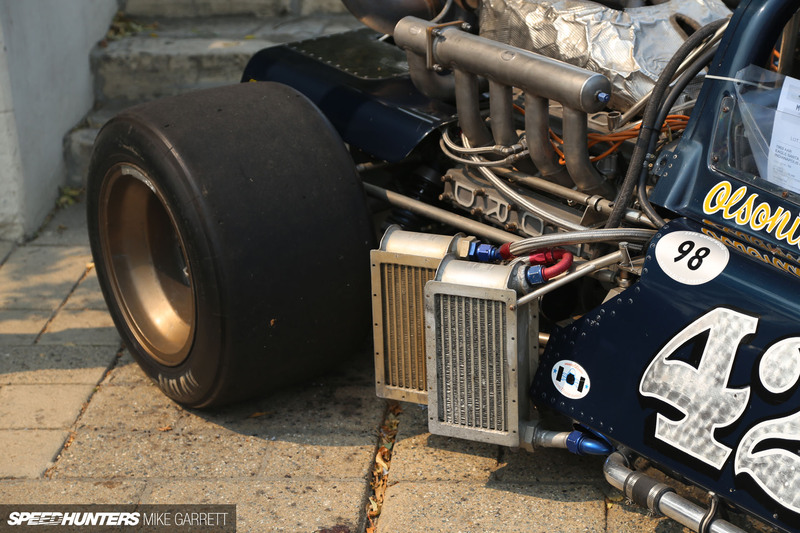 It’s pretty wild to think about, especially considering how modern Indy machines are known for a much more conventional approach when compared to other forms of motorsport. 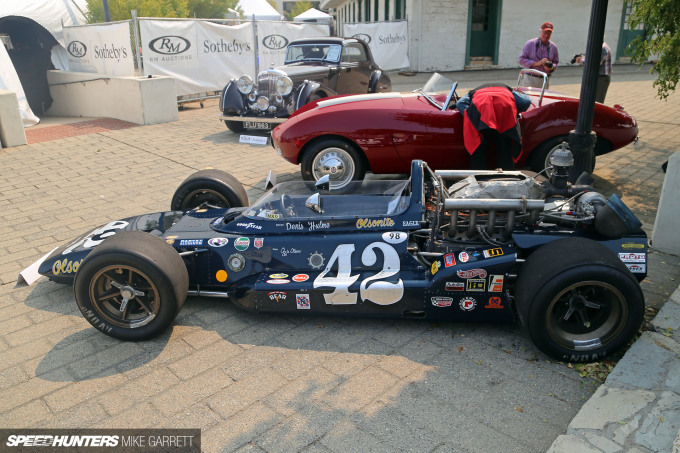 And all of that is combined with the other stuff that makes vintage race cars so great. From the off-centered bodywork to the knock-off caps and hand-painted lettering, I dig it all. The Santa Ana ended up selling for what seems like a relatively reasonable $99,000. Reasonable compared to the multi-million dollar machines that typically sell in Monterey at least. It was also claimed to be in good running order, so here’s hoping its new owner will put it on the race track again soon. 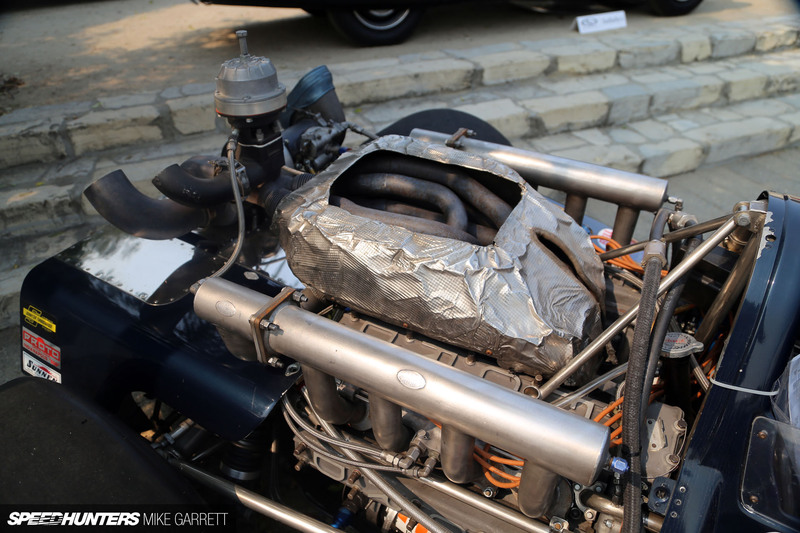 Is the exhaust system sitting like in between the V? and a knock off steering wheel, now that needs to be a thing. i cant imagine how mind bendingly quick the car was back in its day, 850hp coffin that should put many cars to shame today. how did they fit the drivers balls in the car? huh, i didn't think fuel injection was a thing back in the 60s. i thought it was all about carbs still. Mike, I think this thing went out for a session with the USRRC/CANAM cars? awesomefearwave As far as I know, fuel injection became prevalent just prior to WWII, where it was used in various heavy duty applications. I believe it started in aircraft well before (like pre 1910). It didn't start getting used in cars until after WWII. I believe the first factory applications were Mercedes' in the mid 1950's. Chevrolet offered optional fuel injection on Corvettes and Bel Airs in 1957. Difflocked_Mees Yeah, probably will have custom-profile intake and exhaust camshafts (effectively an intake cam with exhaust lobes, and an exhaust cam with intake lobes), allowing the intake ports to function as exhaust ports, and exhaust ports to function as intake ports. cicivokawe Mike, this spam is really getting out of hand. Can you please install some kind of spam filter? Therealstig You could say that! 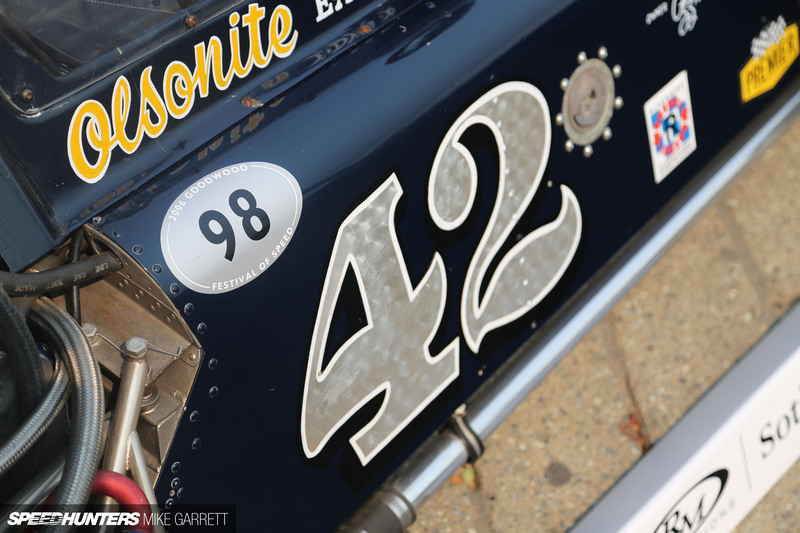 awesomefearwave Aftermarket systems started to appear on race cars pretty early actually. anthonyscamaro Pretty cheap right? At least by Pebble Beach standards. WindsorShatzkin awesomefearwave Pontiac did fuel injection as well in the 50s. The then 1st ever Pontiac Bonneville's claim to fame in 57 was its fuel injected 315hp 347ci V8. Are those coolers for engine oil, or transmission / Diff. etc?